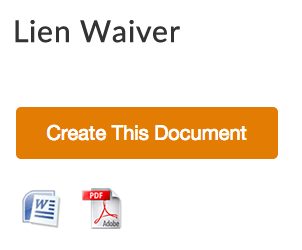 What is a Conditional Lien Waiver upon Final Payment? The conditional lien waiver on final payment is a binding document that officially releases the claim of the people who provided services like supply of raw materials and labor to complete a project as soon as they are paid and there is substantial proof that this is so. This proof can be given as a written acknowledgement by the claimant as to let know that payment has been received or endorsement on a single or a joint check by the claimant received by the bank from which it was drawn by the client. This form is very much similar to that for the conditional waiver on progress payment. It does not however allow you to list other waivers and the payment still left to be made in your name. The payment should be done completely under this without any returned checks or temporary stopping of paychecks to ensure that no law is violated which could lead to litigation in the interest of the claimant. The conditional waiver of final payment ensures that the claimant gets paid for the services extended by him or her. The proof demanded for the payment done secures the legality of the document that can be later challenged in court should the claimant state otherwise later regarding the payment for the services provided. The document protects both the claimant and the client in this manner as the client will be required to pay the claimant the money asked of him through till the date mentioned on the form and once the payment is made and evidence provided in relation to the payment received, it will be documented and cannot later be claimed by the claimant that there was any kind of defaulting on the payment made by the client. The firm also works to the advantage of both as the property rights are released as soon as the evidence of payment is released (this works in the claimant’s favor as they do not have to give up the rights as soon as they sign the document but only after the payment is received). The conditional waiver of final payment is better than the conditional and unconditional waiver on progress payment as the property rights are not signed over until and unless the payment and evidence for payment is received. The conditional and unconditional waiver of progress payment makes the claimant let go of the property right as soon as they sign it. It’s better to use conditional waiver on final payment that works with such versatility in both parties interests.